What Are the Differences Between Boat Clubs & Fractional Boating Programs? Without a doubt, spending time on the water is a magical experience. Time spent on the water is a chance to disconnect, relax, and recharge. The advent of the sharing economy helps thousands of boaters get on the water every day. With several options to choose from in the marine sharing economy, it is important to choose the right model for your lifestyle. This three-part blog series will explore the different options for boating in the sharing economy. So, you are considering a shared boat concept. Which option is right for you, a boat club or a fractional boating program? This begs a second question of what are the differences between these two types of boating access? The Boat Club model is one that has been in existence since the late 1980’s. Boat Club fleets typically consist of boats 30 feet or smaller and are generally more powerboat oriented. The business model for boat clubs is that each club location owns a fleet of boats that the local members have access to. 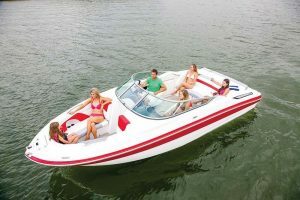 Typically, reservations for boat use are done online where the member chooses the dates, times, and style of boat that they want to use for that period. Members of Boat Clubs usually can choose the type of boat they want to use for the day. Once the member is done using the boat, they return to the marina, fill the boat with fuel, and return to the shore-side living. If using smaller boats (especially power boats) is your preferred way of getting out on the water, and you are comfortable with using a boat that many other club members have access to, a Boat Club may be for you. There are many smaller, independent Boat Clubs in operation across North America; however, the largest is Freedom Boat Club who offers club locations in over 120 locales. Fractional Boating can be split into two categories: Fractional Membership and Fractional Ownership. Typically, Fractional Boating lends itself to larger (27 feet and larger) boats and yachts. Let’s dive in and explore the options! The Fractional Ownership model is where several individuals are involved in the purchase of a boat. Companies that promote Fractional Ownership tout the fact that you have ownership in a boat and can sell or trade up your ownership while remaining with the company. While this model certainly works for some people, it can be limiting as you are financially tied to your Fractional Ownership. While many people assume that Fractional Ownership is what Fractional Boating is, there is another, dare we say, better option. 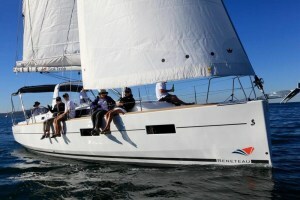 Fractional Memberships, such as SailTime, are a more practical fractional boating model. 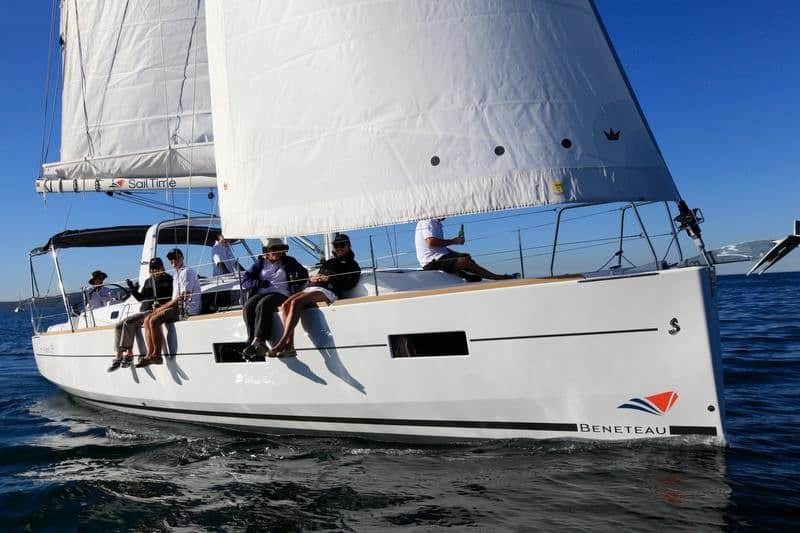 With Fractional Memberships through SailTime, there is one owner of a new Beneteau sail or powerboat. This owner places his or her boat with the local SailTime base who then offers memberships for boating time. One of the many advantages of a Fractional Membership is that when you become a member on a boat, that is the boat you will be sailing on throughout the term of your membership. 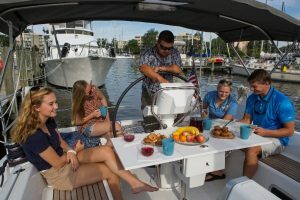 One of the unique aspects of Fractional Membership programs is the limited number of members per boat (generally eight members maximum per boat with SailTime). This means that you can be assured that everyone using the boat you are a member on is treating her with care. It also means that there are fewer people who could be trying to book boating time the same time as you. Fractional Memberships with SailTime are offered in two membership levels, Classic which offers seven uses per month and Lite which allow for three uses per month. Additionally, as a SailTime member, you have the ability to use boats throughout the SailTime base network with SailTime PLUS. Think, you could be on a business trip and still sneak in an evening or morning sail! Any way you slice it, the access to boating has been transformed by the sharing economy. The ability to get out on the water for a fraction of the cost of ownership is a true revolution. Imagine spending time with family and friends connecting with each other in ways only a day on the water can do! Now stop imagining and make it a reality. Regardless of how you choose to get out on the water, a day on a boat is filled with memories for a lifetime!